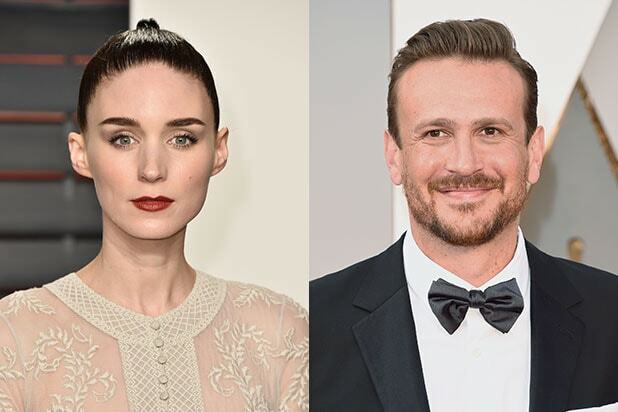 Netflix has acquired the global rights to the “The Discovery,” starring Rooney Mara, Robert Redford and Jason Segel, the streaming company announced on Monday. Directed by Charlie McDowell, the film is set to premiere on Netflix and in select U.S. theaters in 2017. “The Discovery” is set one year after the scientific verification of the afterlife. Redford stars as the researcher responsible for the discovery, while Segel plays his son and Mara plays Segel’s love interest. Shot in Rhode Island, “The Discovery” also stars Jesse Plemons, Riley Keough and Ron Canada. It is written by McDowell and Justin Lader. It was produced by Alex Orlovsky of Verisimilitude and James D. Stern of Endgame Entertainment. “The Discovery” was co-financed by Endgame and Protagonist Pictures. Mike Goodridge and Dimitra Tsingou for Protagonist, and Julie Goldstein and Lucas Smith for Endgame executive-produced. Caucasian Hepburn played a Chinese woman in this big-screen adaptation of the Pearl S. Buck novel. Brando starred as an Okinawan translator for the U.S. Army in this comedy about the American occupation of the island nation. Wayne was cast as Mongol conquerer Genghis Khan in what's considered by many to be one of the worst films of all time. Heston starred as Ramon Miguel Vargas in the 1958 crime film, a Mexican narcotics officer. More caricature than character, Rooney starred as the buck-toothed, Japanese Mr. Yunioshi in the 1961 film, which has faced volumes of criticism since. Wood plays a Puerto Rican in the 1961 film, although she was Russian-American. Not only did the white actor play a Moor in 1965's "Othello," he did so while wearing blackface. Pacino plays a Cuban gangster in the 1983 film, and many criticized his over-the-top, offensive accent. Welsh actor Hopkins starred as the Spanish Zorro, a.k.a. Don Diego de la Vega in the 1998 film. Schneider seems to play a different ethnicity in every Adam Sandler movie. In "The Waterboy" he was the "You can do it!" guy, in "Big Daddy," he was a Middle-Eastern Delivery man, and in "50 First Dates," he plays a native Hawaiian. Badly. Myers played an Indian-American Guru in the roundly panned movie, in which he dressed up a lot of racist jokes in a terrible accent. The movie follows a group of math students who come up with a card counting strategy to win big in Vegas. 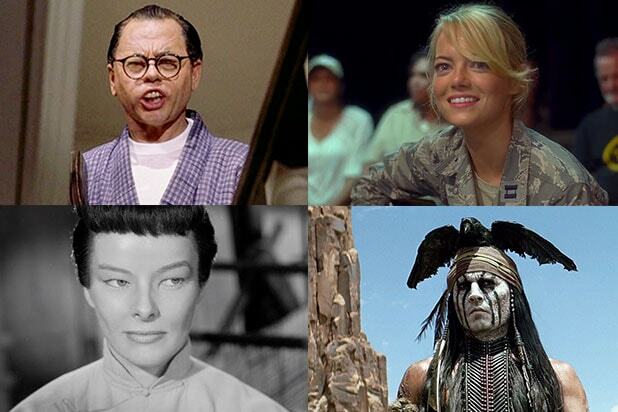 While the movie had a predominantly white cast, the real life MIT students were all Asian-American. Gyllenhaal plays a Middle-Eastern prince in the film, which many called "insulting" and "the perfect example of whitewashing." Like Mara, Johnny Depp played a Native American in Disney's film, which sparked outrage among fans and critics despite the actor's claims that his great-grandmother had mostly Cherokee blood. Mara was cast as Tiger Lily, a Native American, in the 2015 film. Stone played a Chinese/Swedish/Hawaiian woman in this critically and commercially disappointing Cameron Crowe romantic-comedy.